Green Point Luxury accommodation will put you right in the urban centre of one of South Africa’s most popular areas. Central and convenient, staying here places you exactly where you need to be. There are a number of local areas where you can find extraordinary holiday accommodation. Green Point, Cape Town, is definitely on the list as a metropolitan must-see. 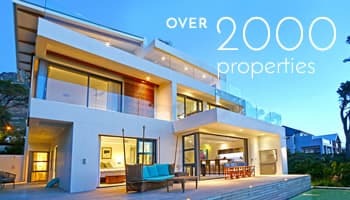 Home of the giant Cape Town Stadium, with cityscapes and ocean views to write-home about, this electric mix of urban-chic and beachside brilliance will help you enjoy what this City has to offer. If you have been searching for the Green Point accommodation that is going to elevate your holiday experience, you’ve come to the right place. Spend some time shopping around our listings to discover the apartment, villa or holiday home fit for you and your family. As one of the most distinguished suburbs in Cape Town, you’ll find Green Point on the North-West edge of the CBD, surrounded by the V&A Waterfront, Three Anchor Bay and Signal Hill. Green Point accommodation is more affordable, which attracts younger residents to the area. If you’re looking for accommodation, Green Point Cape Town has some of the city’s most lavish luxury high-rise apartments. Because it’s directly in the central business district, this area is an excellent choice if you are coming to Cape Town for business. Why Choose To Stay in Green Point? A landmark in Green Point is the Cape Town Stadium that was built there back in 2010. The stadium regularly hosts events and has attracted a young and trendy community of residents. When you stay in Green Point accommodation, you’ll never run out of places to meet new people, hang out and discover new experiences on your travels. Green Point is also a prominent LGBTQ neighbourhood, with many nearby bars, clubs and cafés that have helped put the city on the map as one of the gay capitals of the world. Green Point apartments: The apartments here are in established high-rise blocks that ooze luxury and contemporary class, you’ll fit right in. Green Point cottages and bungalows: Want a bit more privacy and space? These Dutch-style cottages and bungalows are architectural marvels with modern flair. Green Point villas: If living large is part of your repertoire, you’ll love the villas in this neighbourhood. Unassuming and quietly opulent, they will make your holiday. 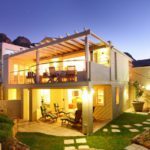 Decide on the type of property that will improve the quality of lifestyle you want to experience while here in Cape Town. Consider elements like size, security, community and the activities you want to do on your holiday. Find Green Point accommodation when you browse through our urban chic collection of superior holiday rentals. You will never need another rental company again!